For picking early October, the large dessert fruits are yellow/green with pronounced red f lush. The delicious flesh is sweet and melting. A regular copper with strong, upright growth. The blossom is fairly frost tolerant and extremely beautiful in flower. 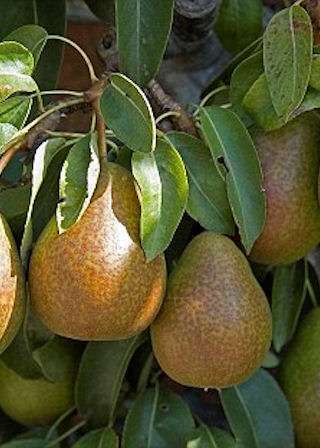 A superb dessert pear, very fertile. One of the best pollinators is Conference.